Continual assessment of our children’s abilities is absolutely vital to ensure that we can monitor their achievements and put in place provision that enables them to make further progress. We give oral feedback to children about their work; we ensure that all work is at least ticked and recognised and we adapt our planning to meet the children’s needs. The class teacher from Year 1 upwards also makes notes on any children who might have struggled with a concept in Maths or English during or immediately after the session. These notes are then used in the afternoon by teaching assistants who give extra support to “close the gap”. We mark children’s work in Maths and English in close detail ensuring children are aware of what they have done well and what they have to do next to improve. Children’s ongoing targets are referred to in this as well as the learning objective of the lesson and the criteria needed to be successful in meeting the objective. We then ask all children in KS2 to respond to the marking comments using purple pen. This is known as “purple pen time” and is timetabled into lessons normally on a Friday. We also adapt our planning to meet the children’s needs. In addition children mark each other’s work once a week, using clear guidance provided by the teacher. Children’s reading, writing and maths targets that are stuck in the front of exercise books are reviewed by the teacher to see how well the children are doing against the targets. Teachers meet with the members of the senior leadership team to discuss all pupils’ progress and identify any issues that need to be addressed. Children’s achievements are converted into “steps”. Teachers use a range of resources and methods to inform end of year assessments. Teachers write end of year reports for parents for all children. All teachers pass on assessments and other information to the new teachers of the class in the following September. Assessments are made of children’s abilities in every school year using the steps system outlined below but there are also 4 points in a child’s school career that are significant, published and used by Governors, the local authority and OFSTED to help judge how well a school is meeting its pupils’ needs. Confusingly these points do not use the steps system described below. 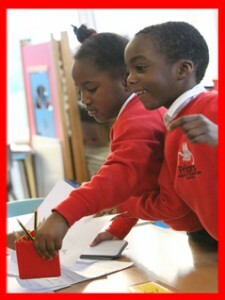 Year 2 (end of Key stage 1): Year 2 children sit tests in Reading and Maths. These tests are marked by teachers and raw scores will be converted to scaled score around 100 where 100 represents expected achievement. Scores below and above the 100 score represent achievement below and above expectations. The results of the tests, in conjunction with a national assessment framework, are used by the teacher to confirm the children’s end of KS1 assessment. Writing is assessed purely by teachers using the national assessment framework. Year 6 (End of Key stage 2): Y6 sit KS2 SATs in Reading, spelling, punctuation and grammar (SPAG) and Maths. Writing is assessed by teachers using a national assessment framework. As with Year 2, raw scores are converted to scaled score around 100 where 100 represents expected achievement. Scores below and above the 100 score represent achievement below and above expectations. Scaled scores of 110 and above represent a higher standard of achievement. Unlike Year 2, the Year 6 tests are externally marked. Year 6 assessments (including the progress made from the end of KS1 to the end of KS2) are also published annually on the DfE website. For the current School performance tables, CLICK HERE. Once all assessment data is in for the school year targets for the following year in attainment and progress are set. Schools are responsible for having their own assessment systems. We assess children against the new national curriculum and are using what are known as steps. This is not a national system but it is being used by many schools across the country. There is a specific curriculum for each year group from Year 1 to Year 6. Our assessment system takes account of this. All children are assessed every half term against the curriculum for their current year.